Xiaomi Mi MIX 2 Review: What Means Full Screen 2.0? Home>Reviews>Xiaomi Mi MIX 2 Review: What Means Full Screen 2.0? There are too many changes and improvements in comparison to the original model. First, the Xiaomi Mi MIX 2 is the way smaller. The screen size has been reduced by 0.4 inches. Though this change doesn’t allow to take the phone from the category of phablets and put in the niche of regular smartphones, now it looks more attractive for one hand operations. Thanks to the lack of bezels this phone is identical with handsets sporting a 5.5–inch screen. Moreover, 6 inches is more practical, and it allows the company to pack a screen with a regular screen ratio of 18:9 instead of the 17:9 found on the original device. The first-gen Xiaomi Mi MIX uses too many innovative technologies such as a piezoelectric ceramic driver and an ultrasonic proximity sensor. The former term means the vibrations will be beamed right through the glass making the people listen to a call without the traditional gap for a speaker, while the latter means the phone will dim when the display is held against your face. But some people complained about the call quality. 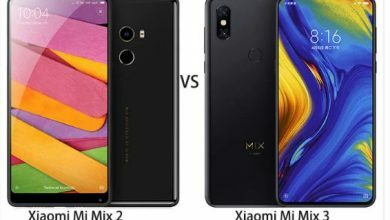 So Xiaomi has two problems to solve simultaneously – it should make the screen occupy more area of the front panel and improve/develop technologies to meet the challenge. Fortunately, our favorite company is Xiaomi that knows the mining of the term of innovation. The second-gen Xiaomi Mi MIX 2 comes with three new technologies known as a micro-front camera module, COF (Chip-on-Film) screen driver flexible packaging technology, and active antenna tuning program to enhance the call quality. This trinity allows the manufacturer to reduce the phone size by 12%. The third big change concerns the design. The Xiaomi Mi MIX looks brutal, while its successor is more modern. The manufacturer has rounded the corners to make it fit in palm more comfortably. Moreover, the first model came in one variant. As for this one, there are two versions – one sports a metal (7 series aluminum alloy) frame with ceramic housing, while the higher model is completely made of ceramic. The Xiaomi Mi MIX 2 is a true flagship packed with the latest hardware. But there are a couple of shortcomings. So we have to take a closer look to understand where the company has saved. We talked about the design of this device too many times. The main reason why we did that is related to the name of its designer, Philippe Starck. He is one of the most popular industrial designers around the globe. Thanks to his ideas the first models from this line became very popular. This is the most important factor, why the company decided to cooperate with him once again. Fortunately, this person knows how to create dream phones. Everything in this device hints at its premium class. Even the box looks like a package of a luxury. It comes in a square shape with phone name on top. As this is a very fragile phone, the presence of a protective case is a requirement. Apart from this, there is the phone itself, an 18W charging head, and USB cable. The screen of this handset comes with a dimension of 5.99 inches. There is almost no bezel at three sides but the bottom part. The front facing camera is located there. You can also see there is no home button unlike the Xiaomi Mi 6. The screen provides a resolution of 2160 x 1080 pixels as well as a pixel density of 403ppi, a contrast ratio of 1500:1, and color gamut of DCI-P3. The back of the device looks astonishing but the fingerprint scanner located below the rear camera. The latter is paired with a dual-flash light for better shooting experience in low light conditions. The camera lens is circled with a 18k gold ring like the previous phone. 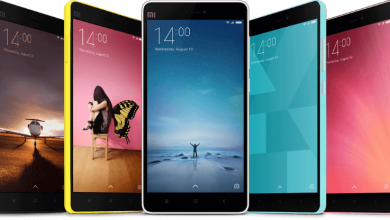 We can also notice the much popular phrase ‘MIX Designed by Xiaomi’. These are the most important words about this phone because the appearance is its selling point. The bottom looks almost identical to the previous model with two speakers and USB Type-C port in the middle. The only difference is related with two antenna ribbons. They lack on the original version. This device has canceled the 3.5mm audio jack and got an IP67 certificate. There is also a microphone hole for noise cancellation on the top. The volume rocker and the power button are on the right hand-side. And the microSD card slot is on the left. In terms of hardware, only a few devices can compete with this phone. Say, only the OnePlus 5 or the Nubia Z17 can fly in the face of this model. As you understand, all the aforementioned devices as well as the Xiaomi Mi MIX 2 sport a Snapdragons 835 chip paired with an 8GB of RAM. As for memory options, there four variants – 6+64GB, 6+128GB, 6+256GB, and 8+128GB. One more thing, the storage comes with a technology of UFS2.1, which is the way faster than the eMMC. We have tested it via AnTuTu benchmark and it scored over 180.000 points. This is an amazing result, but not the best. On the other hand, it outruns the 8GB-powered Nubia Z17 and is too close to the OP5. 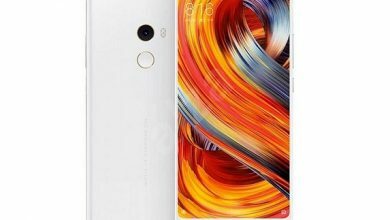 Do you imagine what a performance will be provided by the 8+128GB version of the Xiaomi Mi MIX 2? I said it comes with a UFS2.1 storage, which is the fastest option nowadays. The test showcases its reading speed is 740Mb/s, while the writing speed is 240Mb/s. Seems the battery should be large to provide longer life for a smartphone. But we were surprised with the 3350mAh capacity battery of the Xiaomi Mi 6. It lasted almost a day when using heavily. It turns out Qualcomm has improved the power consumption a lot. So Xiaomi has done as well. The Xiaomi Mi MIX 2 sports a 3400mA battery. The phone comes with a 18W charging head in the box. Thanks to it and a Quick Charge 3.0 support (9V / 2A) the phone charges from 44% to 79% in only 20 minutes. So this battery should be fully charged in 1.5 hours. That’s not a secret the Xiaomi Mi MIX 2 supports full-featured NFC. I say not secret because the phone was leaked in a Beijing subway payment system that hinted this phone supports AliPay and other fingerprint payment systems. As you know, this can be implemented only if a smartphone supports NFC. Apart of this, the phone supports 4 x 4MIMO LTE four antenna system. Thus it covers 4G+ network with 6 modes and 43 frequencies. We like to say the Xiaomi Mi MIX 2 comes with a ceramic housing. But what actually this means? It’s not the traditional ceramic body we used to see. This phone uses a strengthened ceramic process with a nano-zirconia powder. So the average particle size is 50nm only. The whole process lasts about 10 days and it includes myriads of processes including a powder preparation, molding, high-temperature sintering, and post-processing. In comparison to glass, ceramic is considered as one of the hardest materials with a Mohs hardness of up to 8.5. It is in the second position after the sapphire and diamond. The electromagnetic shielding is minimal. That’s why it provides great 4G connectivity. As for speakerphone, the device returned to the traditional diaphragm-type design. The manufacturer has opened a small hole above the screen. But it is enough for the sound to pass through. Finally, the Xiaomi Mi MIX 2 still uses an ultrasonic distance sensor instead of an infrared sensor. The phone is equipped with an internal ultrasonic transmitter working with a 40kHz drive signal. Shortly, this is the same technology found on the original model. But thanks to the speaker hole it will work better. Once the Xiaomi Mi MIX 2 has been launched I state the camera is the weakest feature of this smartphone. Moreover, if is packed with a dual-camera, no smartphone can be compared with it. Unfortunately, the Xiaomi Mi MIX 2 sports only a single 12MP camera of Sony IMX386 sensor on the back. As you remember, this is one of the camera lenses found on the Mi 6. This means it comes with a 1.25um pixel area, 4-axis OIS, and other good options for better shooting performance. But to understand what has been improved in comparison to the first-gen model, let’s deep in details. The Xiaomi Mi MIX sports a 16MP (OV16880) camera with an aperture of f/2.0 and 1.0?m unit pixel area. Actually, when comparing the shots captured by both devices in light conditions, the Mi MIX color reproduction seems to have more advantages. As the sample photos below show, the colors are more vivid, the perception is more impressive, but the photos are a bit subdued and slightly white. However, the Mi MIX 2’s camera identifies objects more clearly and sets the edges correctly. That’s why it’s better when it comes to background blurring. However, the Xiaomi Mi MIX 2 is great in terms of night shots. The sample photos below showcase the original Mi MIX provides photos with a lot of noise. The perception is not satisfactory as well. So we can state, the Xiaomi Mi MIX 2 takes better shots than its predecessor, but we’d like to see two sensors. Lastly, there is only a 5MP front camera. When the original XIaomi Mi MIX was launched last year, it made all the smartphone market talk about the screen and innovative technologies it came with. Immediately after its launch smartphone makers came in with their own bezel-less flagships. We can mention the Elephone S8, Doogee MIX, Bluboo S1, Umidigi Crystal and more. Thus the Xiaomi Mi MIX was an inspiration for many of them. This required continuation. It’s come, and it’s perfect. 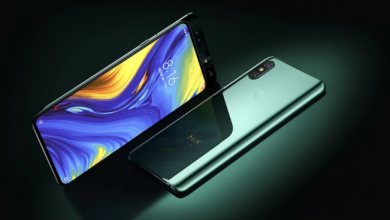 With the launch of the Xiaomi Mi MIX 2, the company starts a new era of smartphones that come with tri-bezel-less screens. But what’s more amazing, this phone also packs the latest hardware. As I said at the beginning of the article, there are several options you can choose from. The Xiaomi Mi MIX 2 black ceramic variant with a 6+64GB memory options is available at 3299 yuan ($506), the 6+128GB is sold for 3599 yuan ($552), 6+256GB model is at 3999 yuan ($613), and finally, the white all-ceramic version with an 8+128GB memory option is offered at 4699 yuan ($720). i was curious of nano-zirconia powder so i researched about it. nano-zirconia is A white powder composed of particles of zirconium oxide, also known as zirconia, this material is used across a variety of fields for applications ranging from polishing semiconductors to producing artificial jewelry.Closely related to zirconium oxide powder is yttria-stabilized zirconium oxide, also known as yttria-stabilized zirconia or zirconia-yttria. This material is produced when some of the zirconium ions in zirconia are replaced with yttrium, stabilizing the cubic phase of the material. Xiaomi is really amaze me.